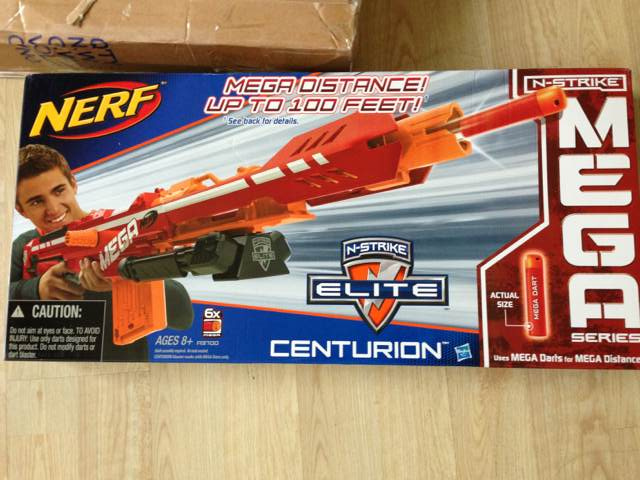 Nerf MEGA Centurion - Finally, a Chance to Look Inside? Rogue over at Nerf Revolution has managed to get his hands on a MEGA Centurion, surprisingly sent to him by Hasbro themselves! Hasbro have always had a good relationship with NRev and it's good to see that Rogue is still nerfing, even after he's been quiet for a while. Good to see your still with us buddy. For now he has released an unboxing video but you can be sure that both a firing demo and an internals video will be posted soon. 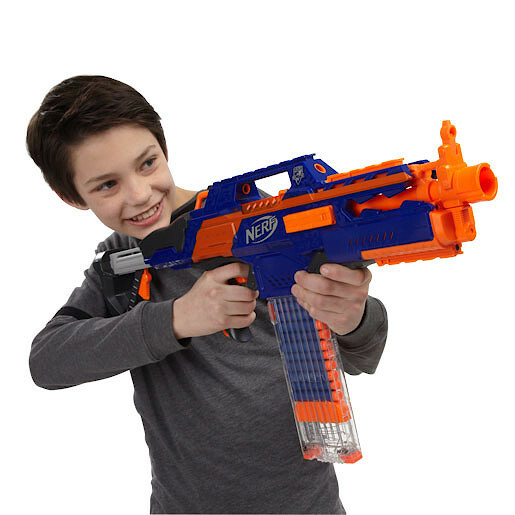 Subscribe to Rogue's channel if you want to see more or check out Nerf Revolution for more info. UK high street toy retailer 'The Entertainer' have listed the forthcoming Elite Rapidstrike CS-18 on their website revealing some new images and good omens. A little late to the table but work has kept me pretty busy the last few weeks. Only just got round to posting this. Official description of the MEGA Centurion and UK price and release date after the jump.